Mandala Satori (seems to be a Nepalese IBL)? @TukTuk yes i just heard about USC they have lots of landrace strains and all very fairly priced (27.50 euro for 10 at sannies) the black afghani, senegal and duckfoot strains look interesting to me. anyone have experience with these? I have grown ducksfoot. It grew nice colas and had a lemon smell. Recently got some Choco Chiba and Juicy Lemon from Luiz BSC. Does anyone have any experience with these? Como va por tu Hemisferio? Creo que en mi hilo "The Dogs House" republique (a tu nombre por supuesto) unas fotos no se si de Etiopía Higland o Senegal (Tropical Seeds Co?) que previamente colgaste en "mi hilo sativero" en CC (pero no estoy seguro). @MiG hola,como estas? Yo por aca todo bien cultivando algunas sativonas.No sabia de tu hilo le eche una leida rapida hace unas horas ya que es bastante largo ,no hay problemas en que pongas mis fotos para mi un placer. I also have a line on some Vietnamese Black, the strain used to make the strain Willie Nelson (VN Black x Nepalese). Willie Nelson has some of the highest amounts of THCv of any strain tested. I'm curious if you are talking about the Vietnamese Black that came from a Canadian breeder and were sold on the cannabisworld seed auction? Several grow reports can be found but most of them were bad. I'd be interested to hear how your quest turns out. I wonder if you can tell me about a strain I had '75 - '78 time frame. It was very memorable for many reasons but the biggest was it's color. The buds were completely yellowish gold. The smoke was very smooth and potent. I can't recall the smell or taste. Dude those are some pretty frosty buds. Also I've gotta say its refreshing seeing others leaving buds aunatural. The other forum I hung out on I'd get flamed for posting them as they should be. The sugar leaves on a good grow like yours are just as tasty and potent. I never understood the extreme manucure craze. Its the whole "bag appeal" thing. Back when I was scrounging cash for a dime bag those leaves would bother me because of weight and not getting a good deal, but we're all grown up now. I leave the sugar leaves on mostly to act like a cushion to keep the trichomes unharmed in storage or transport. "I wont name everything we have because i like a bit of mystique and fun, but il give a few out: sanai peninsula (Egypt) , Jordanian, Kerala, Kenyan"
Does anyone have many experiences with Punto Rojo? I read from "The True Origin of Haze" written by bigherb that very first Original Haze is actually Punto Rojo. Then, I wonder if Punto Rojo is similar or comparable to pure Haze? I didn't have a chance to try well-grown landrace Sativa but was always assuming simpler Sativa genetics bring clearer flying high then poly-hybrid Sativas. 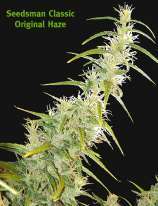 I appreciate if someone can make a comparison between the landrace Sativas and Sativa hybrids, such as Haze, NL/Hz, etc in terms of "clearer" high. Yes, you are correct but the Haze on seedfinder.eu is not the very first Original Santa Cruz Haze, probably overtime Thai/Kerala genetics crossed into Original Santa Cruz Haze. I read somewhere that Thai and Kerala (India) in Haze are passed over to Haze bro or someone via Sam the Skunkman around the mid-70's, which is few years after Original Santa Cruz Haze was bred. Here is the article from "bigherb". I literally, copy-paste from original bigherb's post. It all began in 1969, In Santa Cruz, California. At the time, there was Thai Oaxacan and punto rojo or Colombian red point - some of the best landrace imports in the area, and some of the best smoke around. It was also at this time a local sufer boy named G, was enjoying his youth as many others during that era of freedom. Not particularly the cannabis lover, G. did not have the passion that most of us have for the sacred plant. Despite this, G saw an opportunity to make a quick buck while having a free smoke and some fun. In 1969, the riverside SoCal surfer backcrossed his punto rojo bagseed in what might be the luckiest” accident. This accident would go on to become most famous cannabis strain of all time. The pollen chuck created a very large amount of seed which was used for the duration of its existence. During the next year the seeds produced the four varieties. I was given a description by Sams of “fruity, “sour,“rootbeer,“cola,“c hocolateand “hashy. Later, a more accurate description of each variety was given. The first being Magenta, which those in the inner-circle knew as the “Rootbeer pheno, and the rest of the world knew as “purple haze. Then, there was the “Goldwhich was known to carry musky sandlewood and pine traits. In actuality it smelt like catpiss late in flower, and before a cure. “Blue and “silver were of the Spicy Sweet peppery type, and silver was considered strongest- all of them had a deep rich lingering after-taste. The four varieties of original haze (magenta, gold, silver, and blue) were never stable, and each year had slight variations. The leaf pattern was always the same, and the colors were not cold induced. The calyxes only showed color as the leaf were always bright green. An indicator of true haze lineage is the appearance of a red sap when you cut a true haze plant. This indicator particularly showed itself in the purple pheno. The best plants were always volunteers from the previous year’s seed droppings. The effect is what stood in memories of those lucky enough to experience this gem. Compared to be “acid-like, it had a euphoric feeling which was very clear. This feeling was accompanied by extreme happiness and periods of laughter, while having no ceiling effect. What made the plant so special was the long period in which she stood in ground. The special plant stood in the ground for around nine months which cannot even compare to the eight to ten week indoor varieties of today. The long duration of the growth gave the plant the time to develop its complex flavors, aromas, and most of all, its effects. The harvest time is what’s known as harvest moon and takes place around December-many months of paranoia. In those days, the knowledge wasn’t as abundant or available as it is with today’s technological advances. The ripening of the trichomes wasn’t an indicator of when to harvest. Rather, pure instinct and a watchful eye coupled with patience were used for harvest. The plants weren’t selectively cut down after a nerve racking, and painstaking nine months. It was at this point in time that the entire crop was chopped down. There is in existence, a famous yet quite rare “Original Haze Poster- The Cosmic Boogie -1976. The poster explains in detail the soil recipe used, and both the germination and harvest times. This gorgeous master piece is credited to R.L. who was a partner of G, and one of the main growers for few years. Along with R.L., his girlfriend, and a graphic street artist, the poster was collaborative effort. A group effort, it was R.L’s idea, and his lovely girlfriend’s creative writing, along with the help from friends and the artist’s skillful work. The poster was sold at a local supply store, and was kept hidden under the counter. In order to obtain the item, you had to be in the know. Can you dig it. G, the creator and main grower had a partner named R.L. for a few seasons. R.L. lived nearby and had his own greenhouse. G and R.L. grew upward of 150 pounds of haze each year. The pair never went by the name the haze brothers. The haze seed was highly protected and the grows were under tight control. Few were lucky enough to be part of the growing efforts. There were actually several players involved, but again they were all closely guarded. Many wanted in on the Haze grows, but access was strictly-off limits. R.C was one of them. Better known as Robert C.Clarke, R.C. was from the Cruz and was attending college at the time, practicing his craft- experimenting like a mad scientist, and working his way toward a bachelors and masters degree. R.C. followed his passion, and has made many contributions to our community since then with his books and articles. Another young man who lived in the Cruz , now known as Sam the Skunkman, went on to become a prolific figure in the cannabis movement and industry. The man’s contributions are immeasurable and his passion has shaped the cannabis evolution today. The effects of his contributions can especially be seen in what is considered today to be the cannabis Mecca Holland. When SAMS and R.C. came to Holland in 1984, the standard changed for high quality bud in Holland- a traditionally hash smoking country. Along with many of California’s praised genetics, he introduced Europe to haze. During the seventies, three brothers from new jersey, two of whom were attending college in the Cruz , started to bring large amounts of the haze back east during a series of trips. The three brothers lets call Joey Bobby and Petey. All three brothers were great writers and cannabis connoisseurs who were the ones to coin the name “haze brothers. While No one else called them by the name, the Santa Cruz team had created more creative names for the brothers. The eldest brother, J whom I spoke with recently has been quite busy and furthermore successful is doing quite well. Throughout the years, J followed his passion went on to become a great writer and still lives in the Cruz. Back then, J was cut out of the circle for breaking the cardinal rule which was the kiss of death. The brothers were strictly consumers that brokered large amounts of haze back east. They knew nothing about growing it, but they were very familiar with smoking it. During the late 1970’s, most of the haze on the east coast, particularly the tri-state area, came from the brothers. The haze seed was Never sold, and remained highly protected for good reason. With the wide spread distribution of the haze, at its height of operation hundreds of pounds were produced. It is no wonder that others tried to create their own legend or tale of discovery, and so we see haze traits in various hybrids. So, the idea of haze seed landing in hands of many far and wide is highly probable as there was occasionally a seed found. There is no question that over the course of years, beans got spread. Others outside the circle smoked the haze and likely grew out of the seeds that were found here and there. So, there is the blue dream haze hybrid from Cali along with NYC hazes and many others which are not spoken of or shared. The haze survives in many hybrids all along the both coast, then you have the Dutch offerings which we have Sam to thank for. The year 1976 was a very eventful year- The years crops were enormous. The year brought Extraordinary Haze flowers- many so huge that the branches broke because of the weight. This was the year the historic haze poster was released, and it was also at time that G and R.L had a fallout that ended their partnership. For a short time after, R.L did his own grow locally, then went to Mexico. Rumor has it that he went to grow large scale for a syndicate. G hasn’t spoke to R.L since the split, and it is thought he might be deceased. The haze survives today in several known hybrids- once again thanks to Sams. The taste and the aromas can be recognized by some of the old timers who were privileged enough to have experienced the haze from Santa Cruz. As for the effects, that is another story. Now, Sam the skunk man has without doubt brought original haze stock to Holland, but in exactly what form, pure or hybrid, is unknown. G said that he did not give SAMS haze stock, But acknowledges he did live on the block and did some trimming. Therefore there is the possibility he collected seed working with, or smoking the varieties. Personally I believe that the latter was more probable. Sam had relations with R.L., and he had much of the same seed stock that G worked with. Remember, R.L. did his own thing for a while, and it’s very likely Sams got plenty of seeds from him. This is quite clear by many post of Sams that reference his haze genetics from 1976. Thanks to Sam the skunk man’s preservation, the haze has survived in several forms from a number of different companies. The reported haze stock which was once, and probably still is pure can be found from the flying Dutchmen, Seedsman and Tom hill. The most prestigious hybrids come from MNS- Mr. Nice seedbank from haze stock obtained by Nevil Schoenmaker in 1985, from Sams. Then there is Cultivator’s choice selections of haze hybrids made from SAMS- some of which are still available. In 1981, just as the accident came about, it all ended. After about a 10 year run, the haze failed to produce. 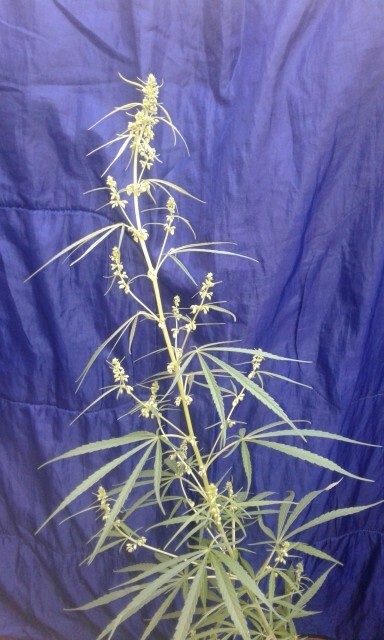 The buds were too thin and wispy for commercial production. It started as an accident, a pollen chuck, and since G was not a breeder, he never stabilized or backcrossed the plant. As a result of this the plant soon died out .The search was on for something new. Sams returned to the cruz and sold G a large amount of Skunk seed which was easier to grow, and which happily filled the void. Always Remember that the Original haze started with the sufer boy G thenexpanded with R.L. G and R.L never referred to themselves as the Haze Brothers- that title goes to the three brothers from New Jersey who are responsible for introducing much of the east coast to the magic from Santa Cruz. The title original haze thought of by G, is derived from Jimi Hendrix purple haze song. Sams is responsible for spreading haze stock by bringing it to Holland. It is because of his preservation, determination, and dedication and love of this sacred plant that the younger generations, such as myself, still have the opportunity to have a taste of the most magical strain of all time. For the haze heads, I’d like to say that G is doing well ,while his memories are fading. (The time has come for the true origins of the original haze to be told, and for G’s story to forever burn. In our mind, hearts, and haze blooded bud we bud for eternity. ) Haze seeds are still held by G as I’m sure some others. While there hasn’t been any success with germination, as of recent, several attempts and methods have been applied and anything is possible. Keep in mind the same way the accident started it can happen again. So let’s get cracking. Much love, respect, and thanks to everyone mentioned above. Credit goes to DJ of Santa Cruz who has been patient and kind enough to share his experiences as well as G’s with me. This is compiled from my many hours of haze homework, extremely deep passion to know every detail and my relentless pursuit of the truth. This is the story I was told this is the true origins of haze. My passion for haze started as a young teen, growing up in New York City. At the time, the neighborhood I grew up in had many varieties of the most popular cannabis strains on the market. During 1998-2002 the best selections of haze frequented the area I lived in. There have been many slang terms threw the years to label specific haze selections such Uptowns, Puday, Church, Silvers and sometime after I was going uptown Piff or Piffington as some of the locals called it. 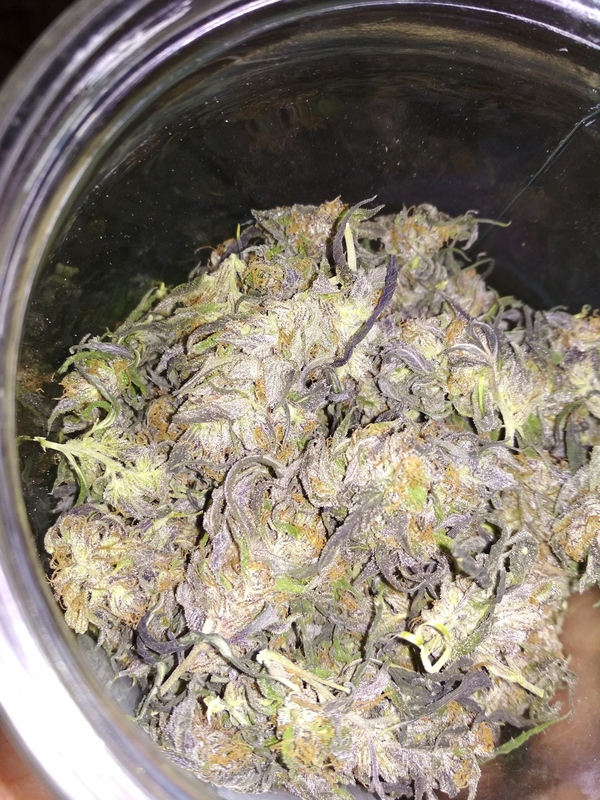 Frankies was the most sought after haze variety to come out of New York City. The name Frankies derived from frankincense which is a trait that is unmistakable highly desired and cannot be forgotten by anyone who has just one toke. Derived from slang used by the older guys who kept the strain in circulation. It is thought of by anyone who was lucky enough to have the experience, simply as the best. This lead my quest in search to find the source of Frankies, Washington heights known to the New Yorkers as the home of the haze. I have taken many trips on the A train and C train to the heights hot spots. I’ve sampled countless varieties of haze that range from good to amazing, Express Thai, Mexican and Colombian traits. The staples of taste and aromas of NYC haze are spice, incense, catpiss and what we call basement or leather. But nothing can compare to Frankies, growing up it was common and easy to find, these days it has become elusive. This legendary strain that us native New Yorkers know as haze is no legend. This is what we grew up smoking, just like the city there is nothing sweet about it this is what we know as haze.